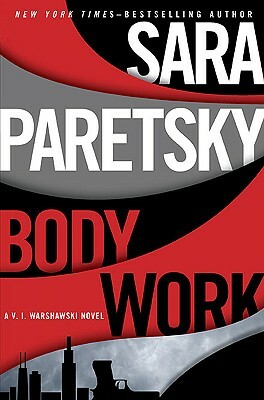 Sara Paretsky is the author of sixteen books, including her renowned V. I. Warshawski novels, the most recent of which is the "New York Times" bestseller "Hardball." Her many awards include the Cartier Diamond Dagger Award for lifetime achievement from the British Crime Writers' Association. She lives in Chicago. "… superb… This strong outing shows why the tough, fiercely independent, dog-loving private detective continues to survive." "Edgy… It's good to see Warshawskithat can-do, no-nonsense gal who barged into the man-world of fictional gumshoes in 1982still saving the innocent." "A new V.I. Warshawski novel is always a cause for celebration… Paretsky's the queen of the hard-boiled for good reasons. Her characters are ordinary people. Her dialogue is pitch perfect… The story revolves around bulliespersonal, sexual and corporate onesand Warshawski is smart enough to know bullies can be beaten." "The Fourteenth entry in the V.I. Warshawski series finds the smart-mouthed Chicago PI approaching 50 but unafraid of mixing it up with some thuggish Ukrainian mobsters… V.I. proves as persistent as ever in a case that ranges from the edgy urban nightclub scene to the corporate interests making a fortune from the wars in Iraq and Afghanistan. And, as always, the city of Chicago, from its gentrified lofts to its working-class bars, is given a starring role. Another solid entry in a popular series." "Paretsky plays out her trademark political and social themes not with rhetoric but with a compelling story of lives shattered by pride, greed and fear of the unknown."